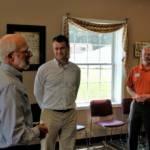 Volunteers at a Randolph County food pantry spent their time with US Sen. Todd Young (R-Indiana) asking him not to vote to reduce federal food assistance programs through the next version of the federal Farm Bill. 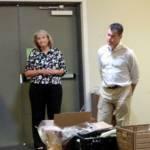 As IPR’s Stephanie Wiechmann reports, Young visited several service agencies in Winchester. Ron Ferguson, along with his wife, Pam, help run The Shalom Center in Winchester, an all-volunteer food pantry that helped feed more than 14,000 people last year. 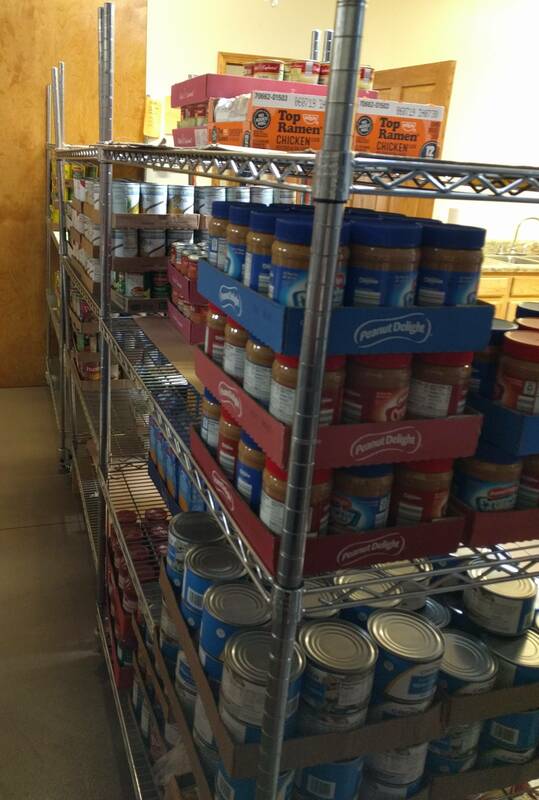 Ferguson says if food assistance programs are reduced or cut, the pantry would see up to 100 more families a month – something not financially feasible for the organization. Ferguson appealed directly to Republican Senator Todd Young. A House version of the Farm Bill reduces such programs. A Senate version does not. Young says he’ll take the Ferguson’s concerns to the Congressional conference committee deciding the bill’s final version. “And I would anticipate voting for the Farm Bill in the end, regardless,” says Young. While on his tour, Young suggested food pantry clients receive counseling on how to free up some money to better afford food. 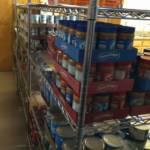 That’s a service that the food pantry’s supplier, Second Harvest Food Bank of Muncie, already offers. While in Winchester, Young also visited a transitional home for male homeless veterans and a residential drug addiction treatment center.